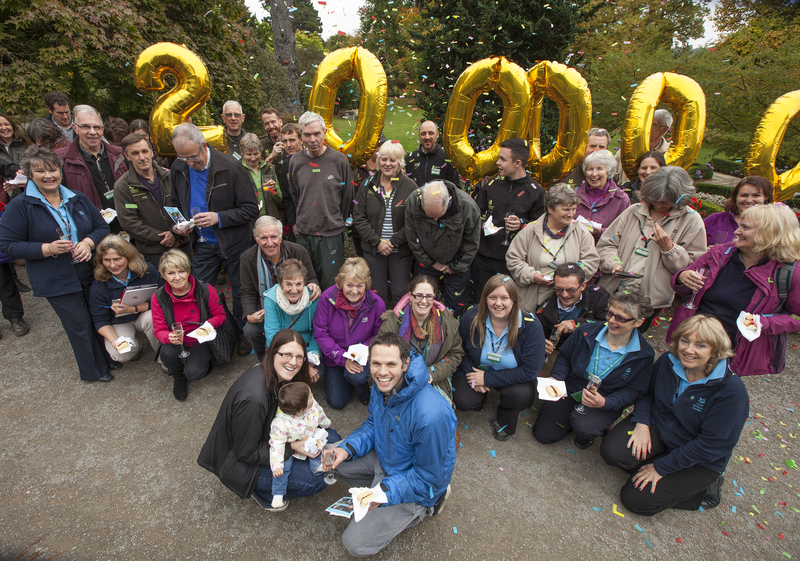 The team at Bodnant Garden downed tools recently to welcome our 200,000th visitor this year, who was greeted at the gates by staff and volunteers bearing bubbly and cake. 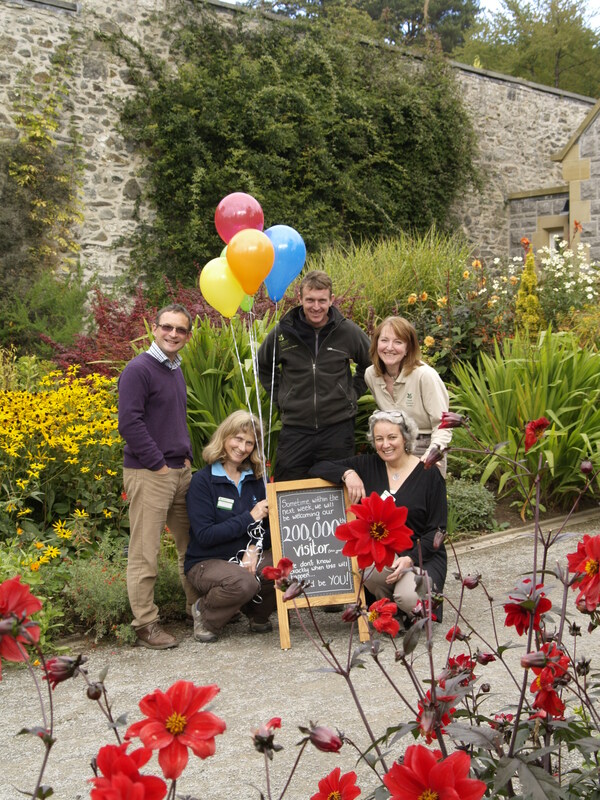 We reached this milestone in a blaze of autumn colour, months ahead of target. 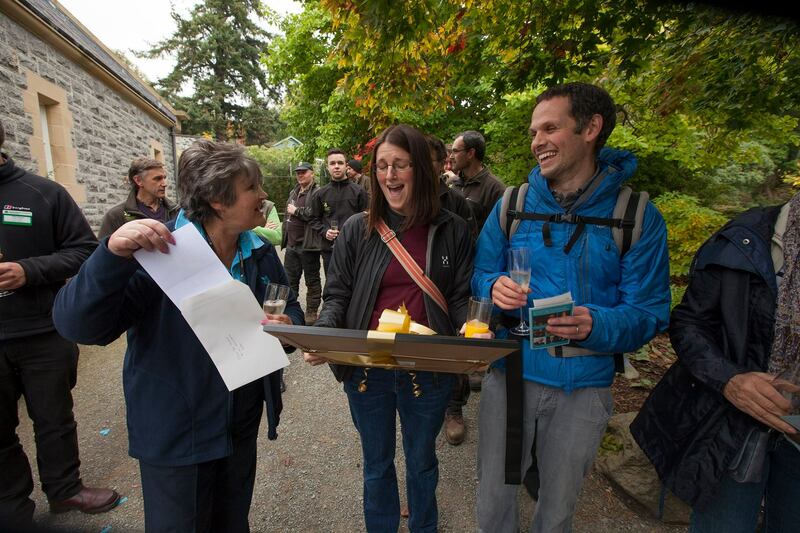 It’s the first time in the garden’s 140-year history that visitor numbers have reached this level. 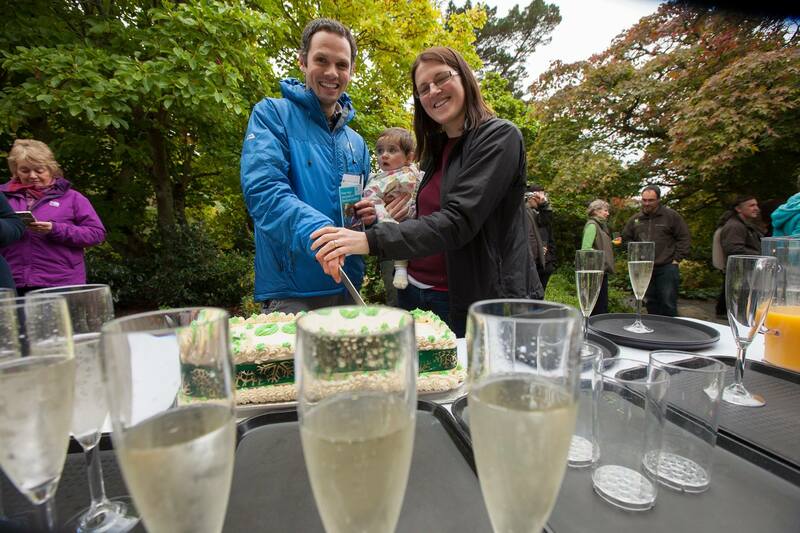 The lucky guests were Samantha and Simon Hardman, and their baby daughter Emily from Sheffield, for whom it was their first visit. 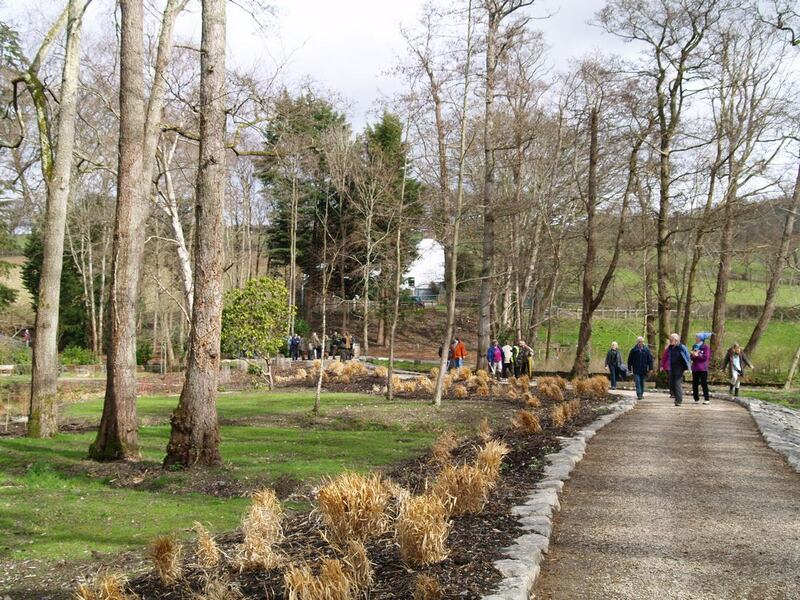 The garden has attracted around 180,000 visitors per year for some years but visitor numbers have been steadily rising since 2013 with the opening of new areas – the Winter Garden, Old Park meadow, Yew Dell and Far End – and new initiatives like dog days, garden events and family activities. 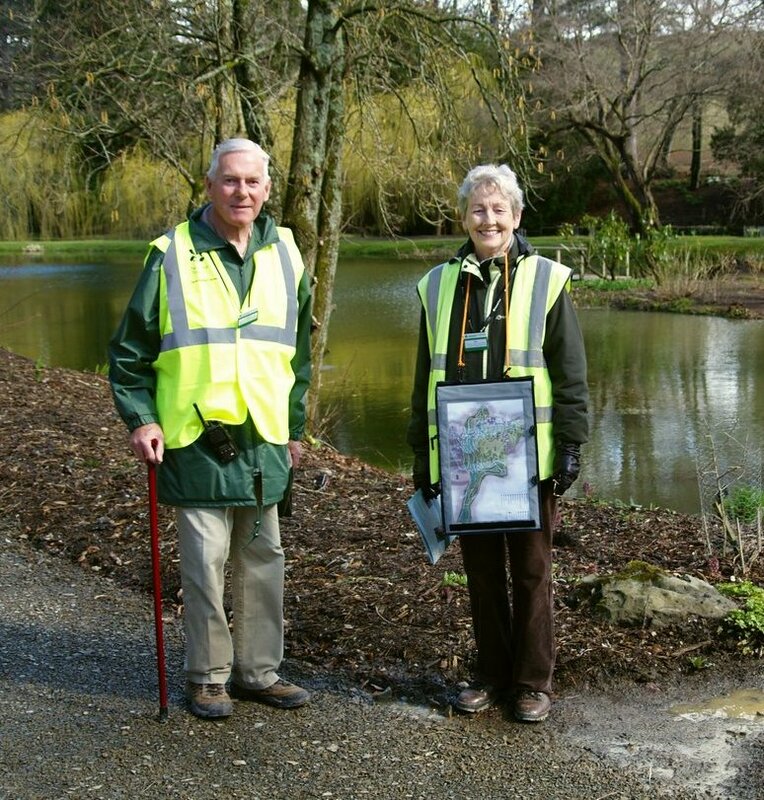 General manager William Greenwood says: “It’s an absolutely amazing achievement and a stunning tribute to so much hard work and dedication in all weathers from our hardworking staff and volunteer team. I can’t thank enough every single one of them. 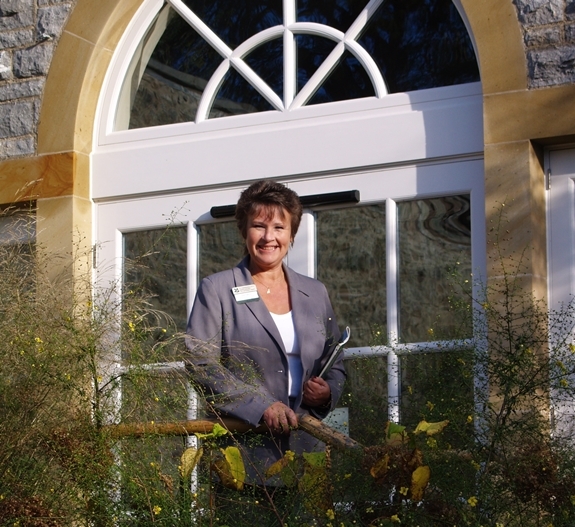 “Having worked at the garden for many years I’ve been privileged to see all the changes and developments as they’ve happened. 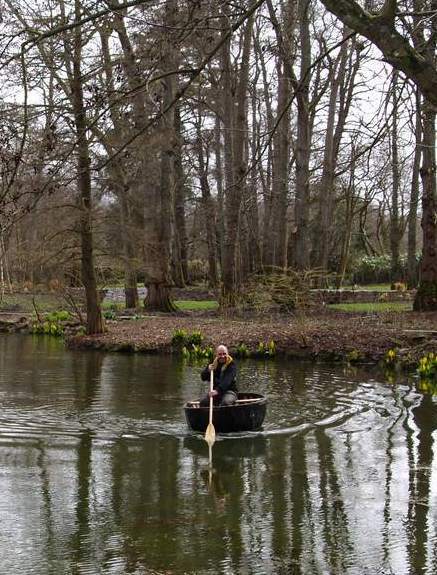 I’m full of admiration for our gardeners who passionately and creatively work in harmony with nature and often have to battle with the elements. 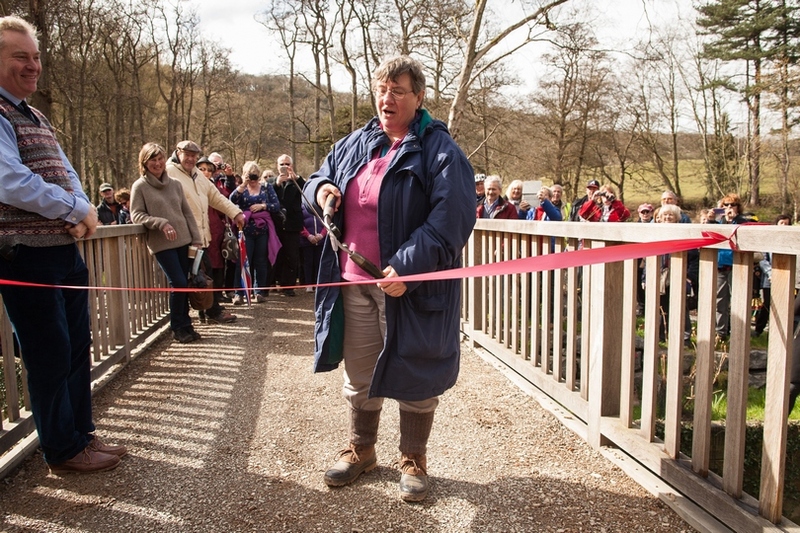 I’ve seen their sorrow when they’ve had to take down a very old tree which has come to the end of its life; their stoicism as they’ve tackled the devastating damage caused by floods and high winds, and their joy when a new area they’ve worked so hard to restore is finally opened to visitors. 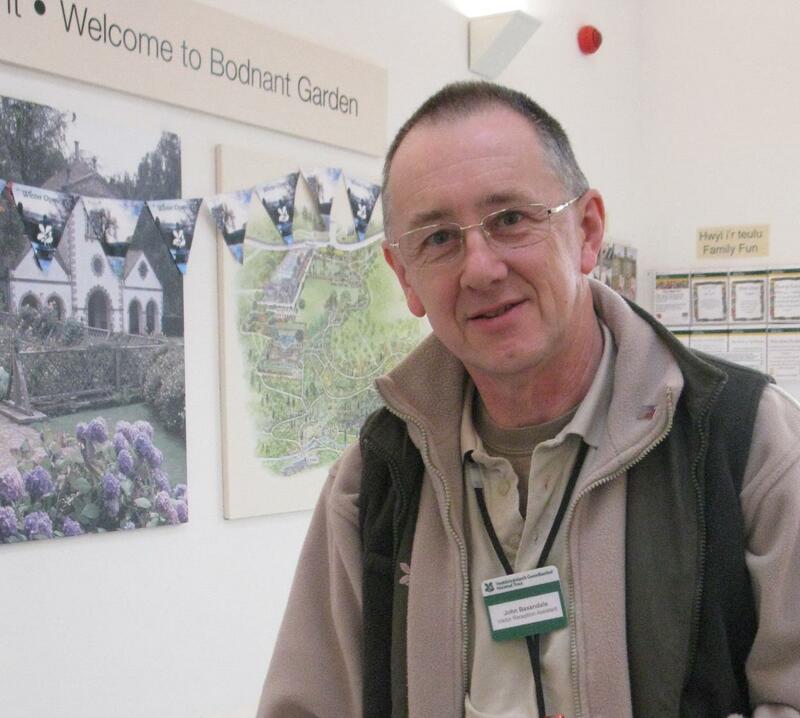 Mark has been working at Bodnant Garden for around 30 years, man and boy, and is font of all knowledge for everyone on the garden team. 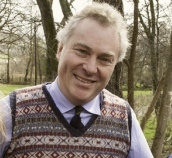 He says: I’ve been lucky enough to work with both the third Lord Aberconway and with head gardener Martin Puddle in the 1980s and 1990s. 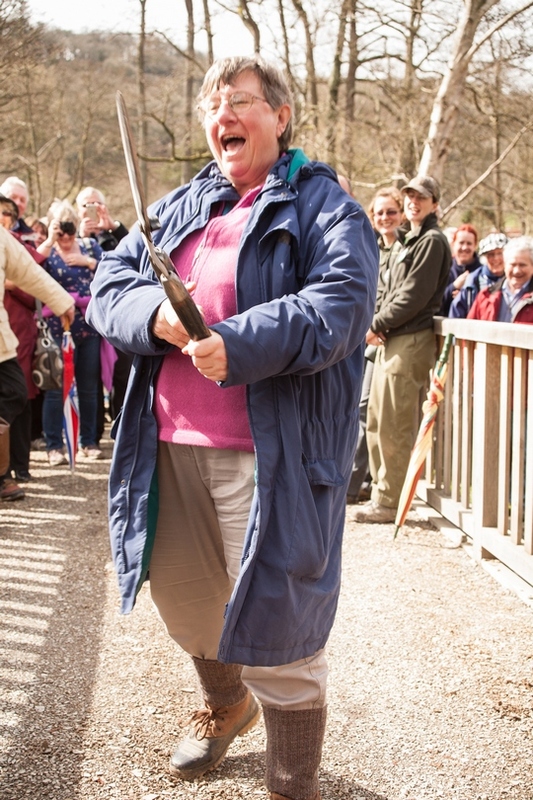 Back then we welcomed around 140,000 visitors a year – we thought that was a lot of people! 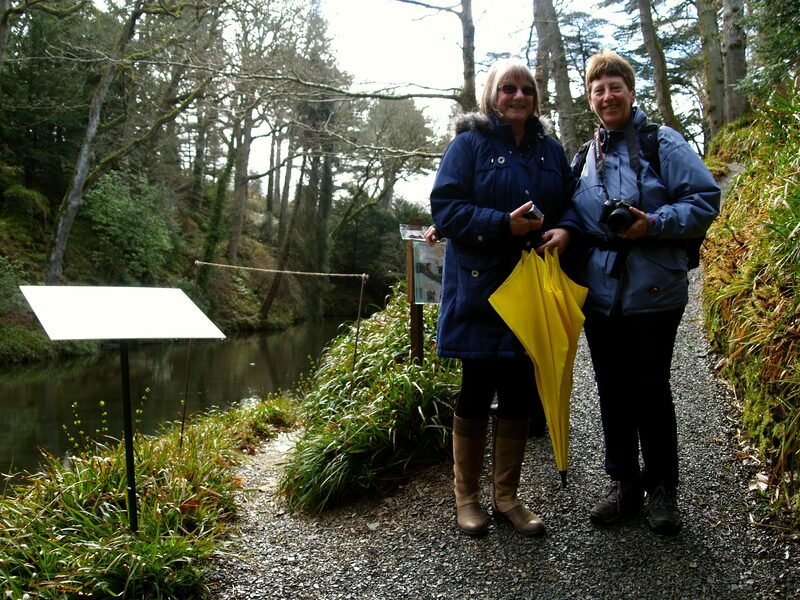 But Bodnant is a large garden with so many different areas for people to explore and it never feels crowded. 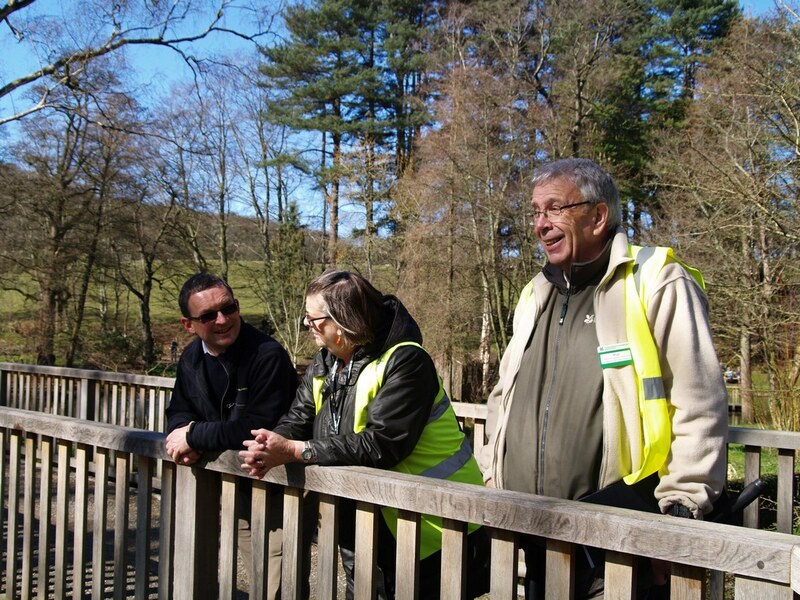 Jess has been at Bodnant Garden for the past year training with the Heritage Horticulture Skills Scheme. 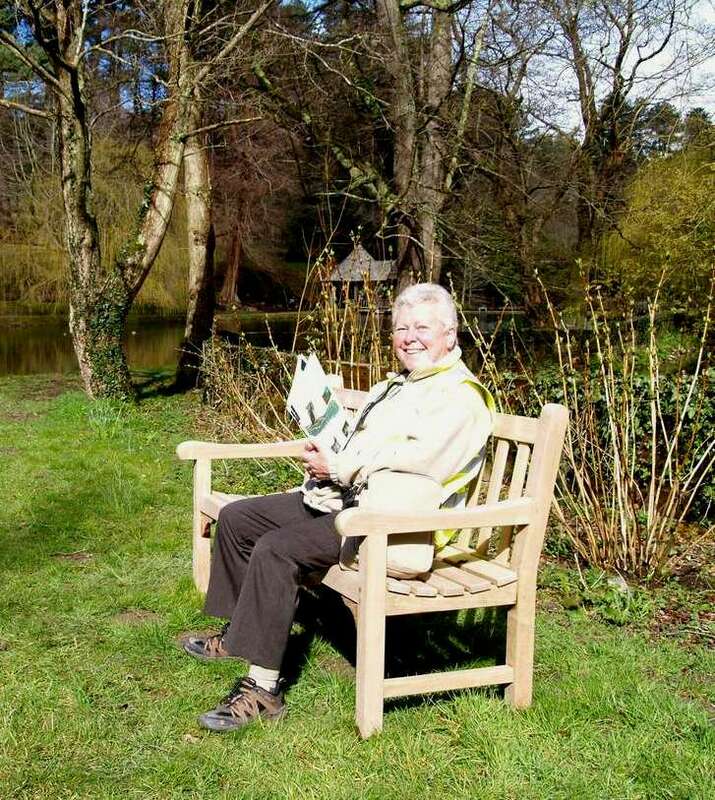 She and fellow trainee Jaette Nielson have redesigned and replanted the Vanessa Bed on the Top Lawn, which was decimated by an oak tree which fell in storms of 2013. 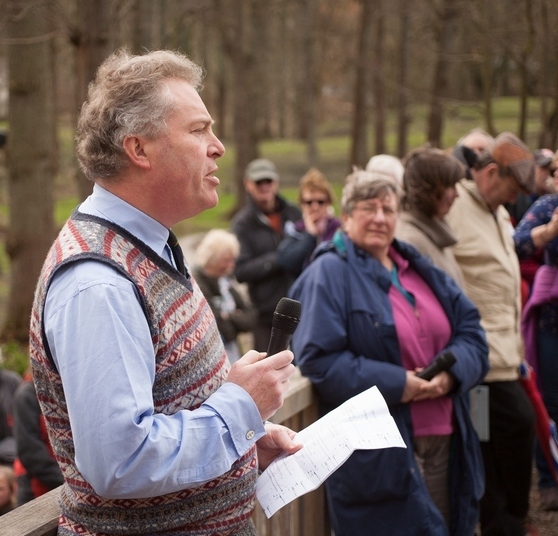 Michael McLaren, of the donor family, said: “I am delighted that this month Bodnant will be welcoming its 200,000th visitor – the first time ever that we have had more than 200,000 visitors in one year. 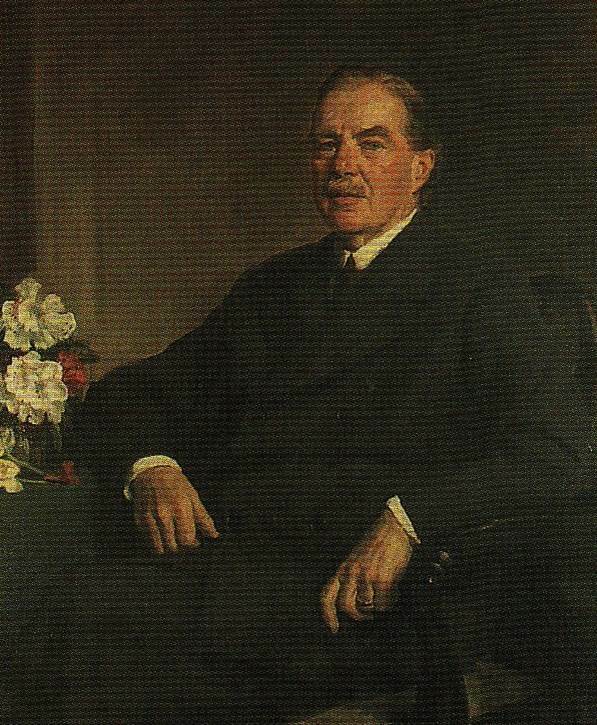 My grandfather, Henry 2nd Lord Aberconway, who gave the garden to the National Trust in 1949 and who more than anyone else was responsible for the creation of the garden, loved seeing visitors appreciating the beauty of the garden and learning about horticulture and garden design. He too would have been thrilled to see this record broken…and with the prospect of further milestones being passed before the end of the year. 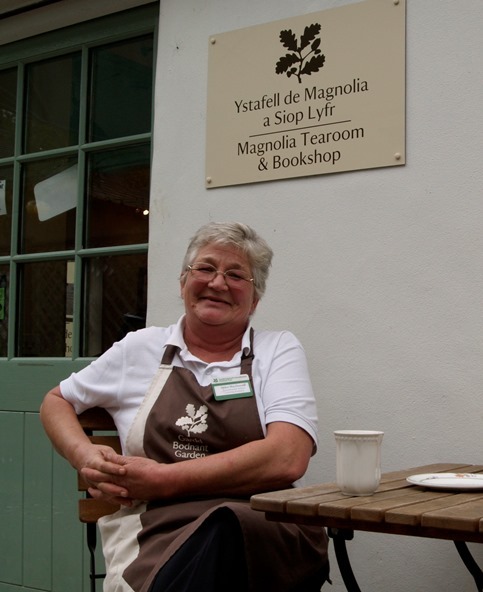 Helen has worked here for three years, also on the frontline making sure visitors get that leisurely lunch in the bustling tearooms or much-needed snack in the new al-fresco kiosks down in The Dell and Far End. 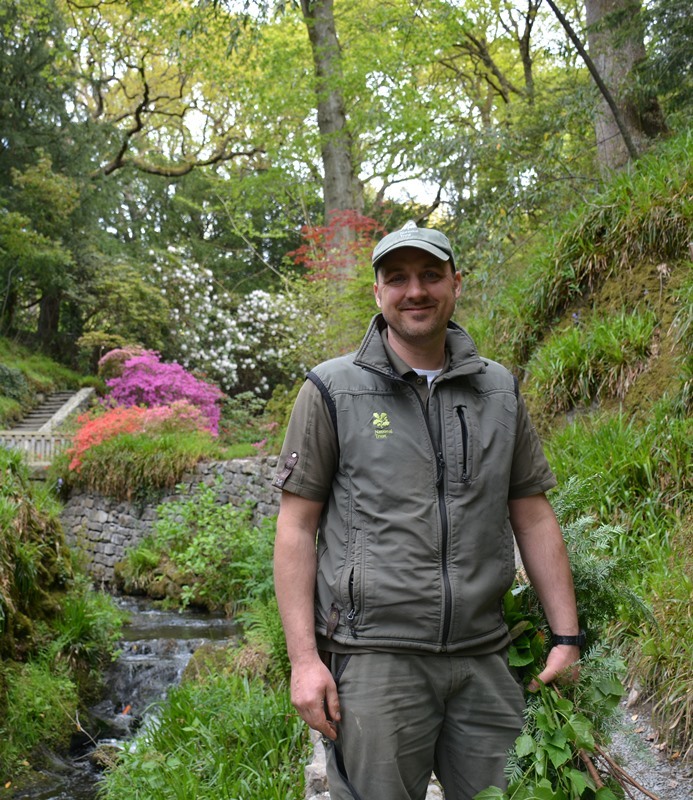 John joined the team in January this year, coming from Castle Drogo in Devon, another National Trust property. 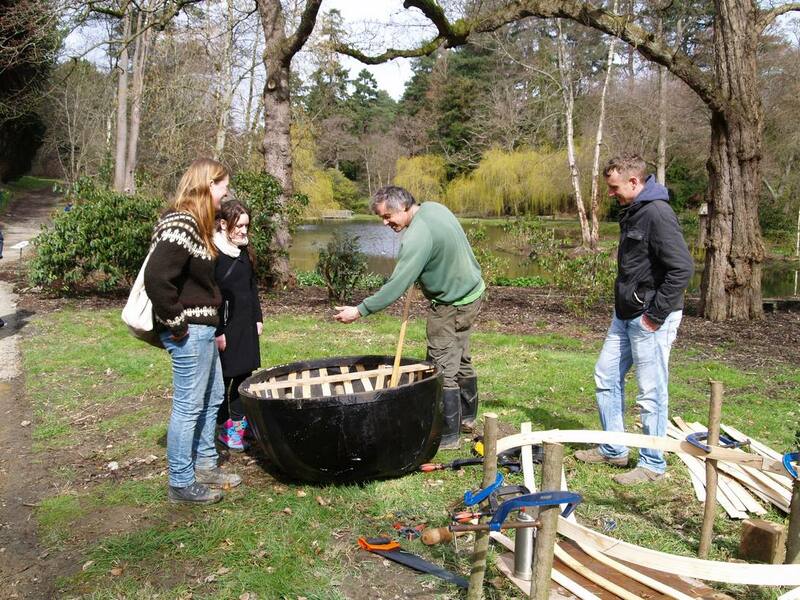 He says: “The rich gardening tradition at Bodnant stretches far back into history. When the Statue of Liberty was being dedicated the first giant redwoods were being planted in The Dell. 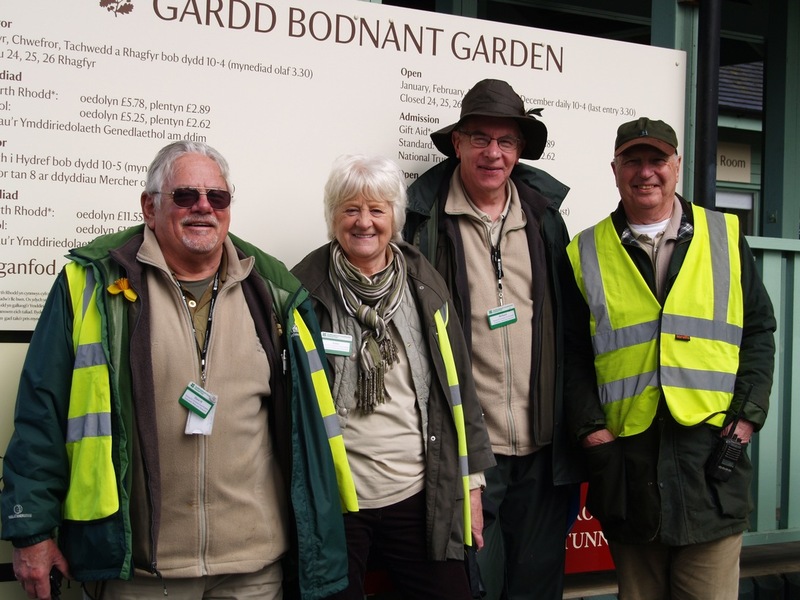 Despite many triumphs and tragedies including two apocalyptic 20th Century world wars that changed the economic and social landscape of this nation, the celebrated team of Bodnant gardeners here have always continued with what gardeners do best – getting on with what they know and love. 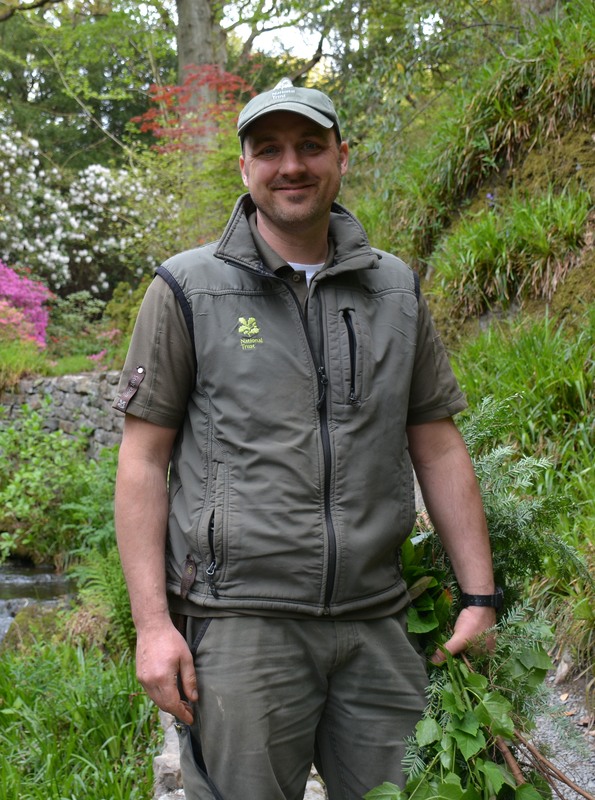 “The spirit of resilience and pride continues with the present Bodnant Garden Team and has seen them through their own share of challenges that a garden of this size and significance will always encounter. After years of hard work, change and periods of uncertainty however, the taste of success is always sweeter and more satisfying than if there had been no struggle. 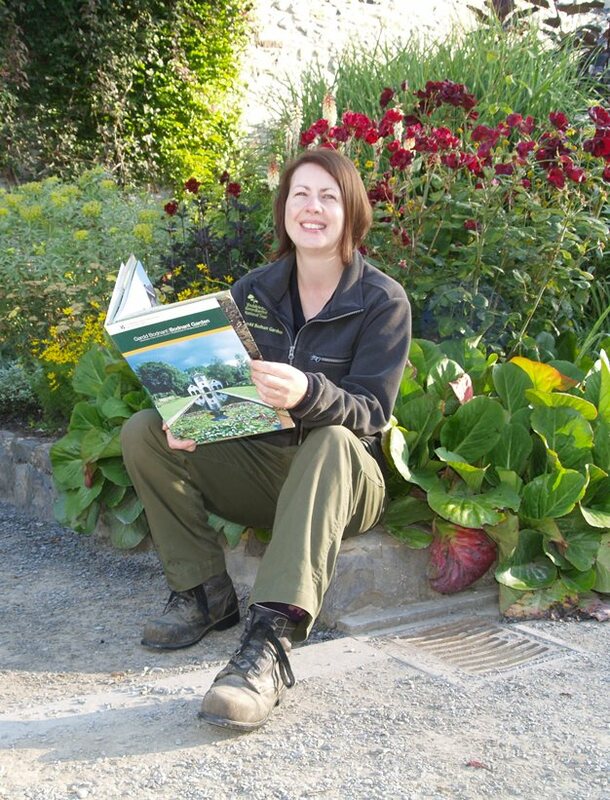 “I believe the 200,000th visitor marks and important moment in time for the team at Bodnant Garden; it says categorically that the dedication and painstaking attention to detail of the garden team employs in their every-day work is greatly appreciated. 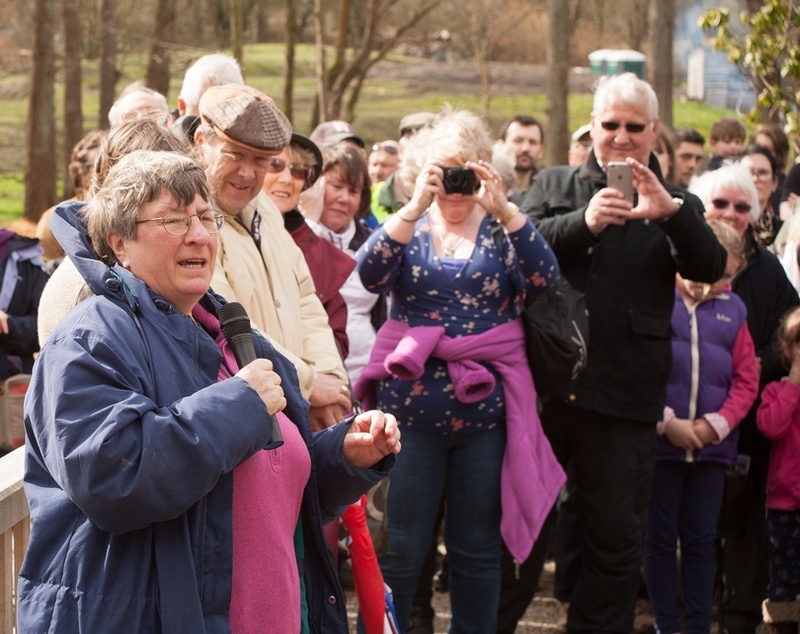 Perhaps more importantly it says that the ongoing creative revitalisation of the garden and the opening of new areas has been hugely successful with our visitors and is a winning formula we can all celebrate. General manager William, left, with staff Charlie, Adam, Fran and Rose. 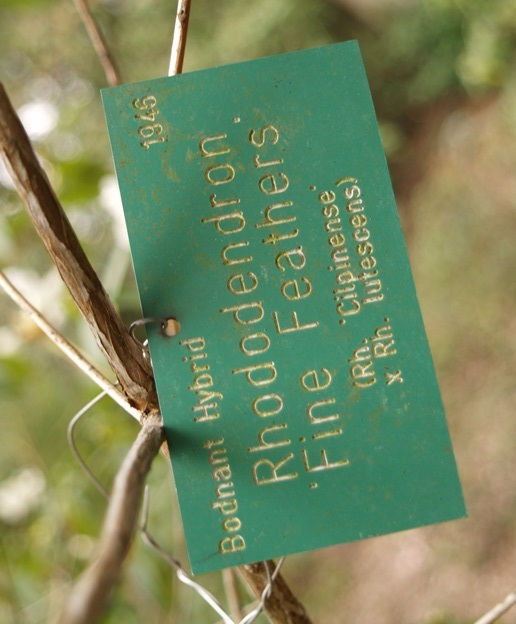 If you’ve ever walked around Bodnant Garden and wondered what the green plant labels mean…they are reserved for special rhododendrons, those unique to Bodnant, our Bodnant Hybrids. 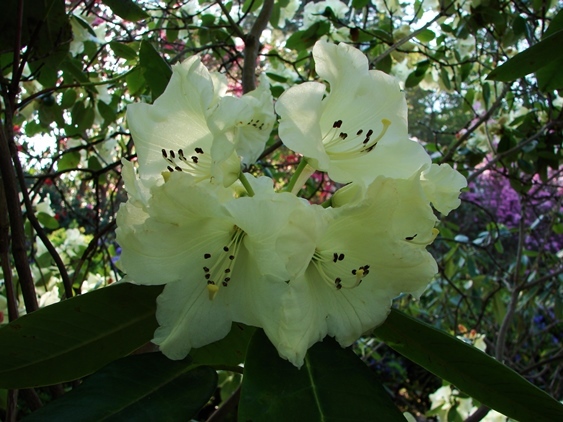 We’ve recently had news that the conservation body Plant Heritage has approved this group as an important new National Collection – to give them their full title, Rhododendron Hybrids Bred at Bodnant Garden 1927-1983. 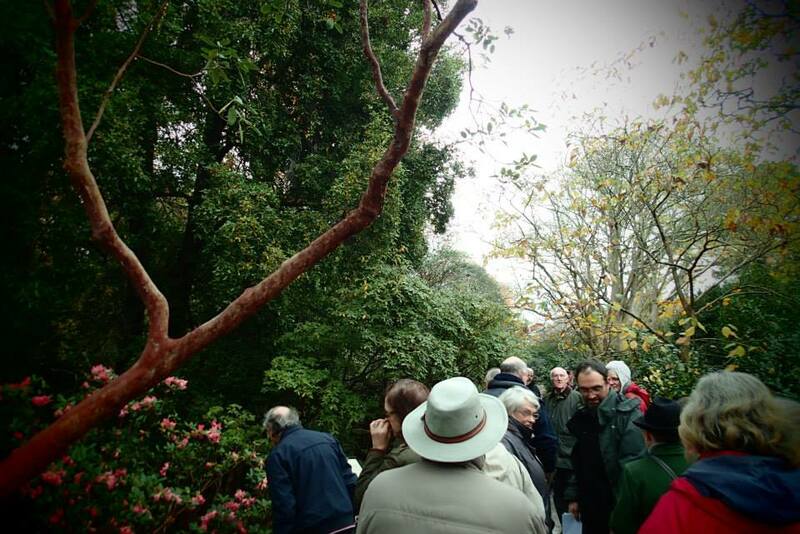 This takes our number of National Collections to five – we already hold collections of Magnolia, Eucryphia, Embothrium and Rhododendron forrestii. 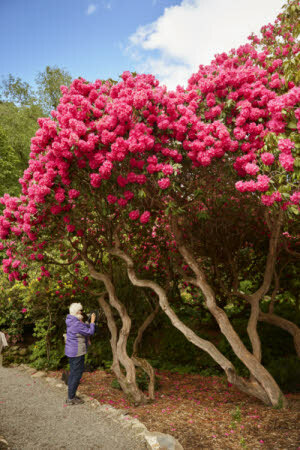 It’s a big deal – the collection reflects Bodnant’s place in the great British history of rhododendrons. It also highlights our quest to save these hybrid plants, some of which are ‘lost’ to records and some even nearing extinction. 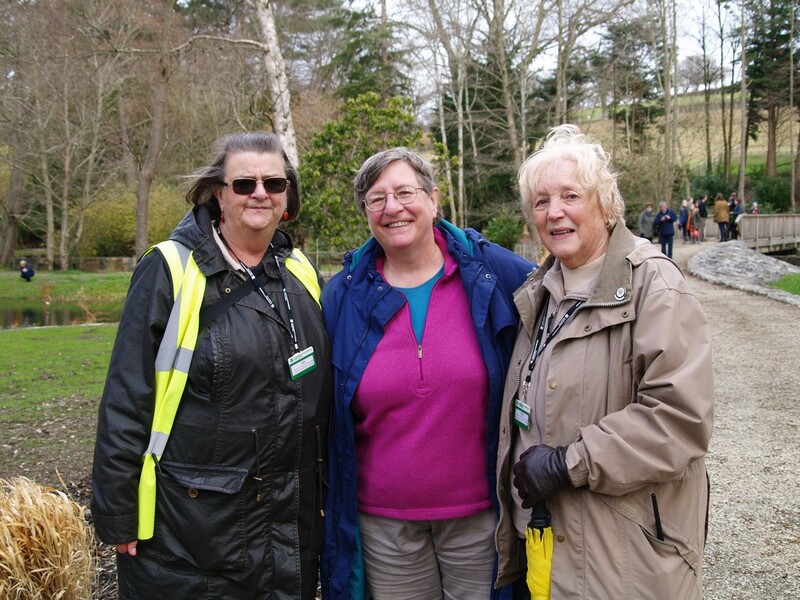 This is something close to the heart of Bodnant Garden’s taxonomist Alison Clarke (seen right) who has been working for several years to nurture our hybrids and safeguard their future. 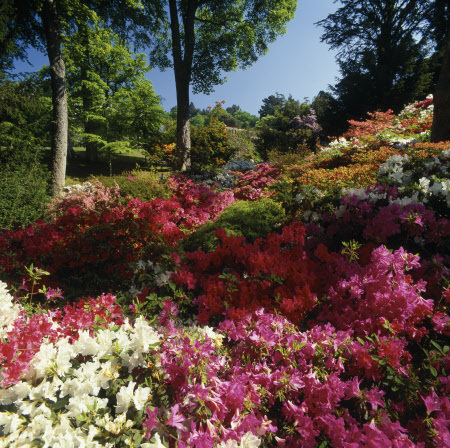 Bodnant Garden played a lead role in the story of rhododendrons in Britain. 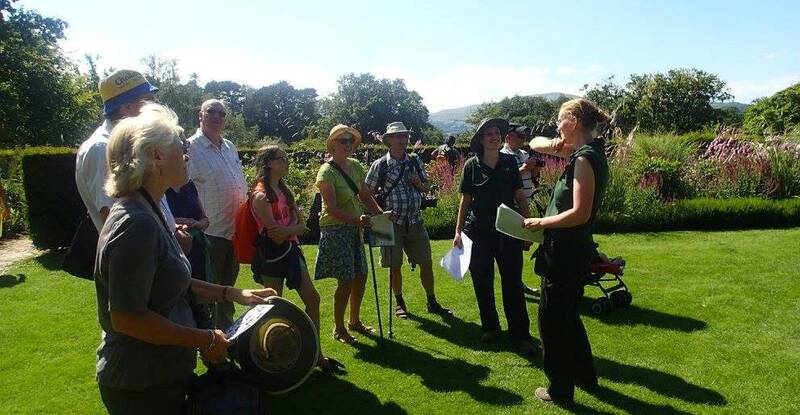 These ‘exotic’ new plants began trickling into Britain in the late 1800s but it was in the early 20th century that they really made their mark. Bodnant Garden’s owner Henry Duncan McLaren, second Lord Aberconway, was active in sponsoring the expeditions of plant hunters such as George Forrest, Ernest Wilson, Frank Kingdom Ward, Joseph Rock, which brought back to our large country houses, parks and gardens quantities of these and other Asian plants, like magnolias. 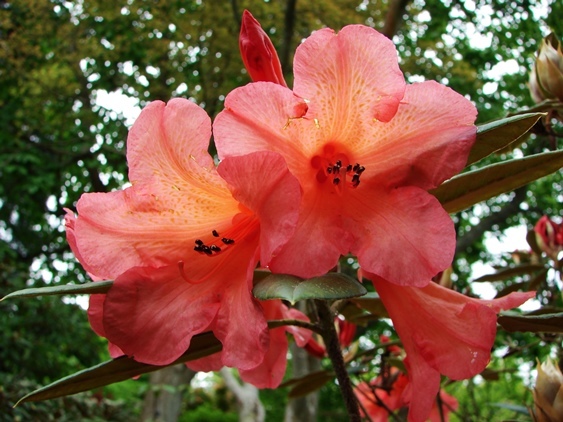 The first rhododendron came to Bodnant Garden in 1910. 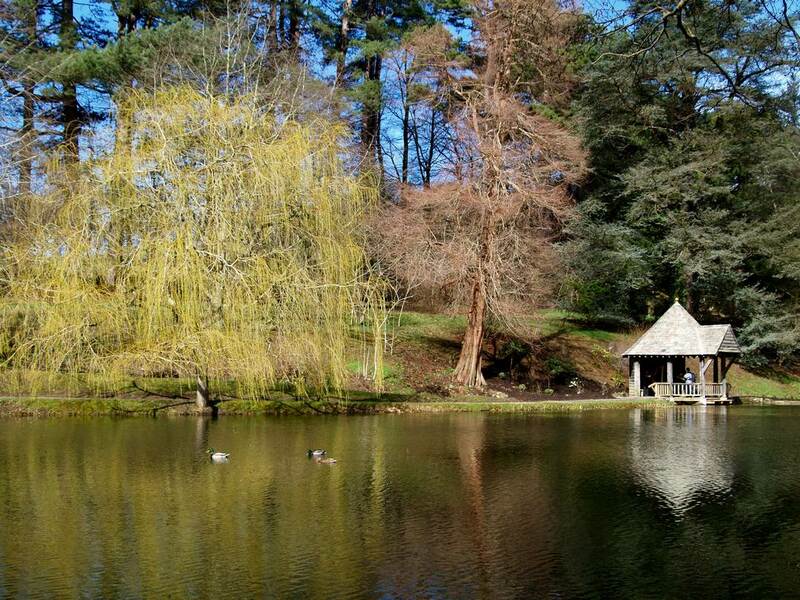 Legend has it that head gardener Frederick Puddle at first didn’t believe they would be hardy enough to grow in North Wales – thankfully he was proved wrong! They acclimatised so well that Lord Aberconway and Mr Puddle went on to develop a successful breeding programme. 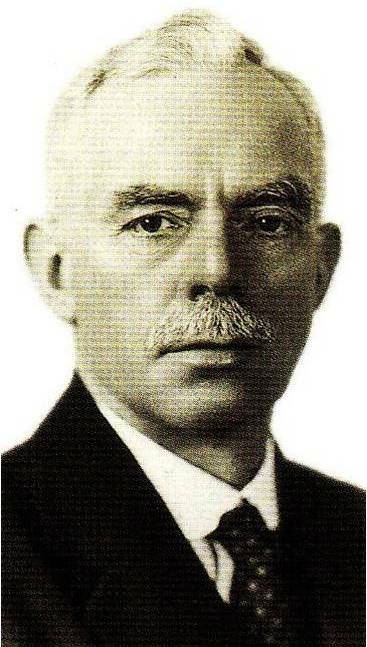 Their hybridisation programme started during 1920s. 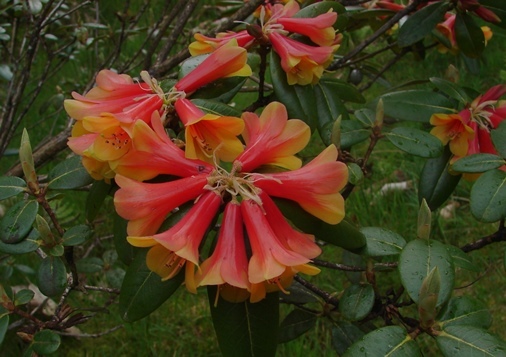 Many of the early rhododendrons offered a new colour palette and range of genes to work with. 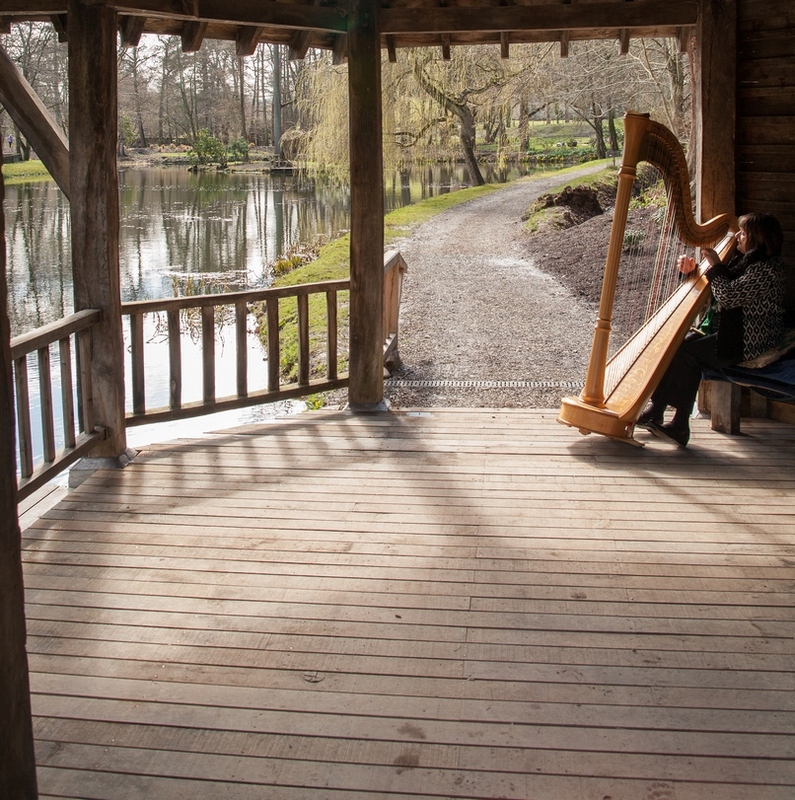 Those that were most used at Bodnant Garden included Rh. wardii (the first strong yellow), Rh. 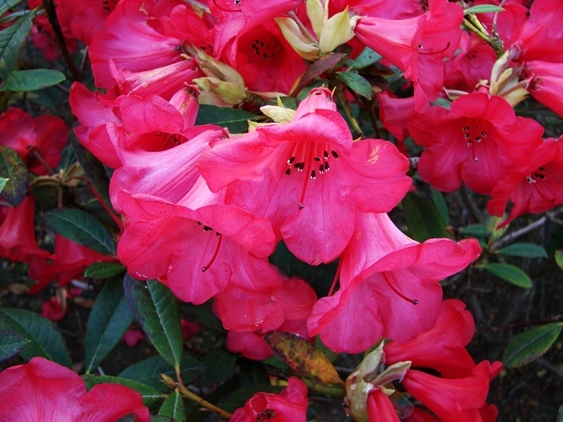 cinnabarinum (which introduced orange shades), and the reds for which the garden became so famous, including Rh. forrestii and Rh. griersonianum (seen above). 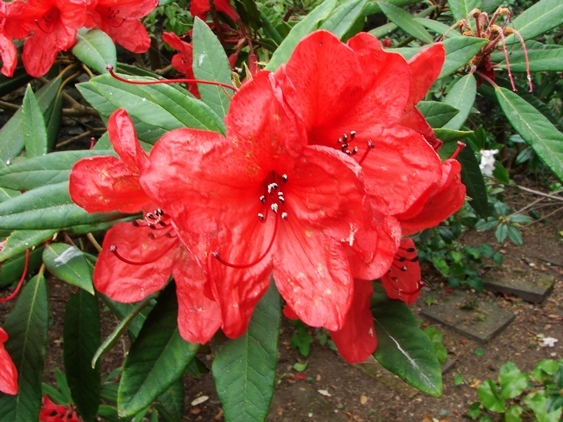 Nearly half of all hybrids registered were reds – the Bodnant Bloody Reds. 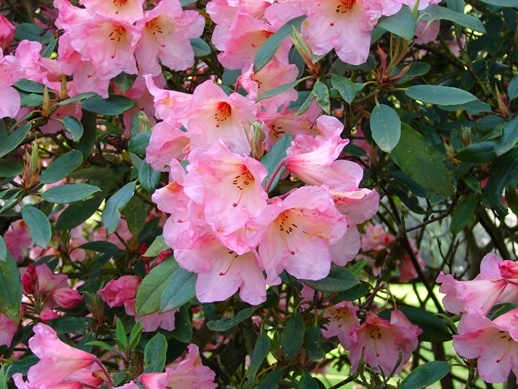 One aim was to extend the flowering season by using particularly early and late flowering species; also to produce stronger plants by crossing tender plants with more hardy species; another reason was to produce smaller plants suitable for the domestic market, the most famous example being Rh.‘Elizabeth’ – still one of the most popular rhododendrons in the UK. 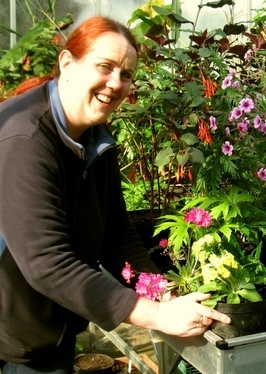 Alison says: “Over 300 hybrids were raised and registered to Bodnant. To date we have 115 varieties in the garden. Some exist only as a singular specimen. Those under threat of extinction are being actively propagated. 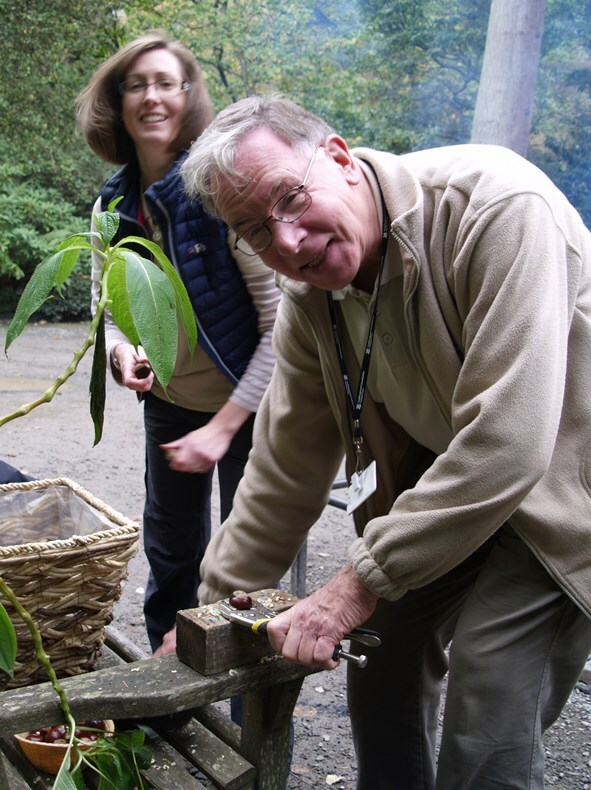 Many of the ‘missing’ plants are thought to be still in the garden but have lost their labels so we are working with metal detectorists from Mold Historical Society to help find labels. 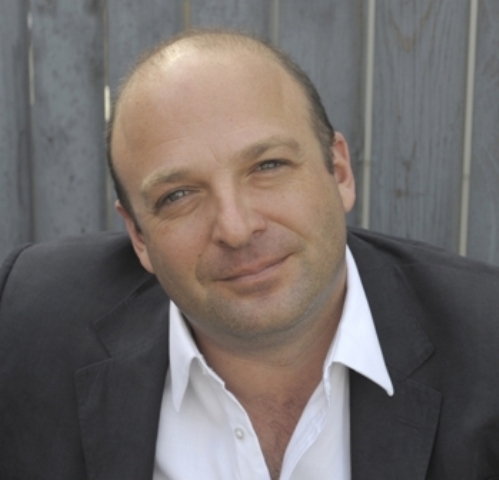 In future DNA analysis may also help identify plants thought to be missing hybrids. 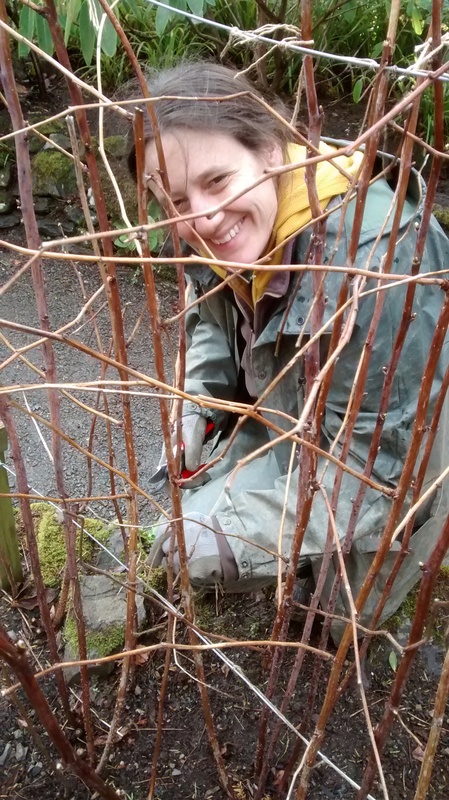 Meanwhile we are actively propagating ‘at risk’ hybrids using alternative methods such as grafting, layering and micro-propagation, and hope to one day restart a Bodnant Garden hybridisation programme. 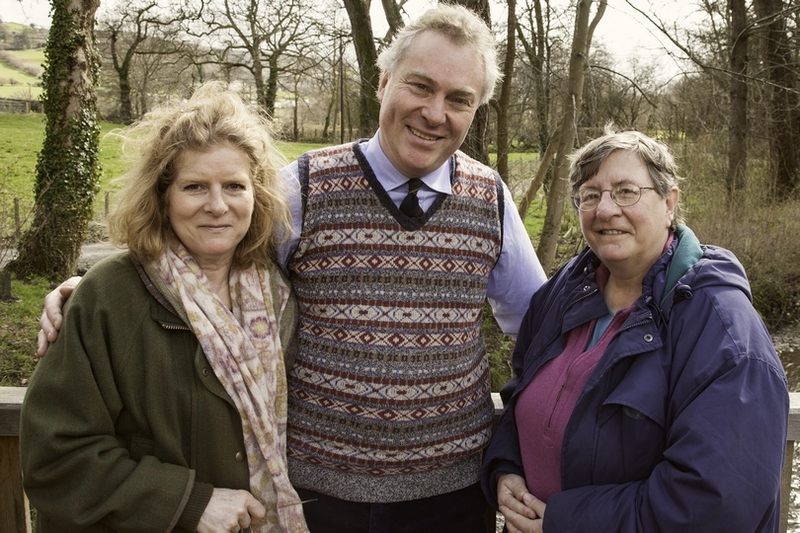 Our registration as a National Collection will raise the profile of these special plants and hopefully encourage more people to grow them, helping to safeguard their future. 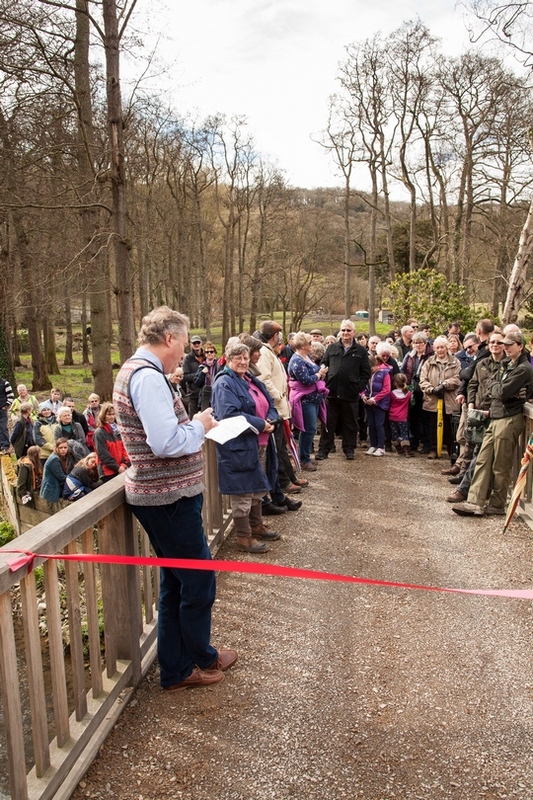 Perhaps the garden’s Victorian founder Henry Pochin was smiling down on us, but it was a fitting tribute to the hours, months, years of work by gardeners and volunteers which has gone in to renovating this area ready for this day. Ducks enjoying the lake to themselves for the last time! 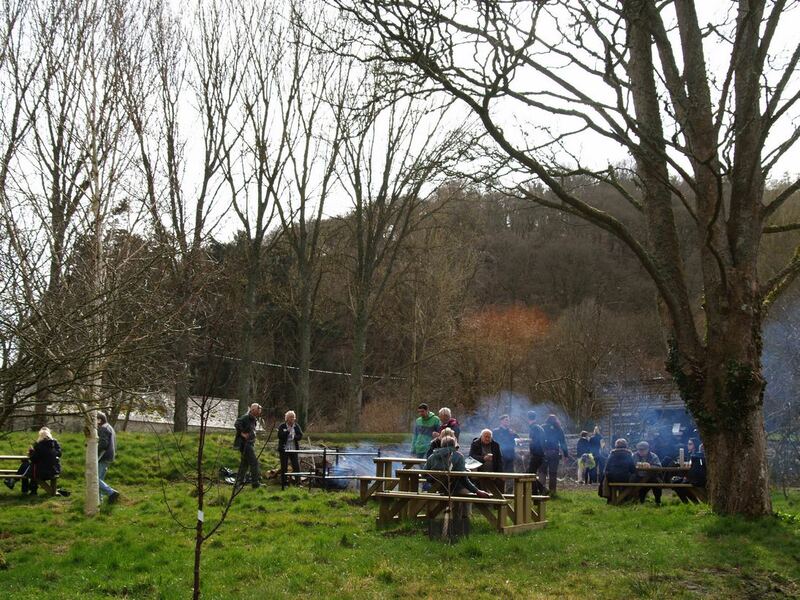 The first people to arrive at The Far End were Sandra and Margaret Qualters. 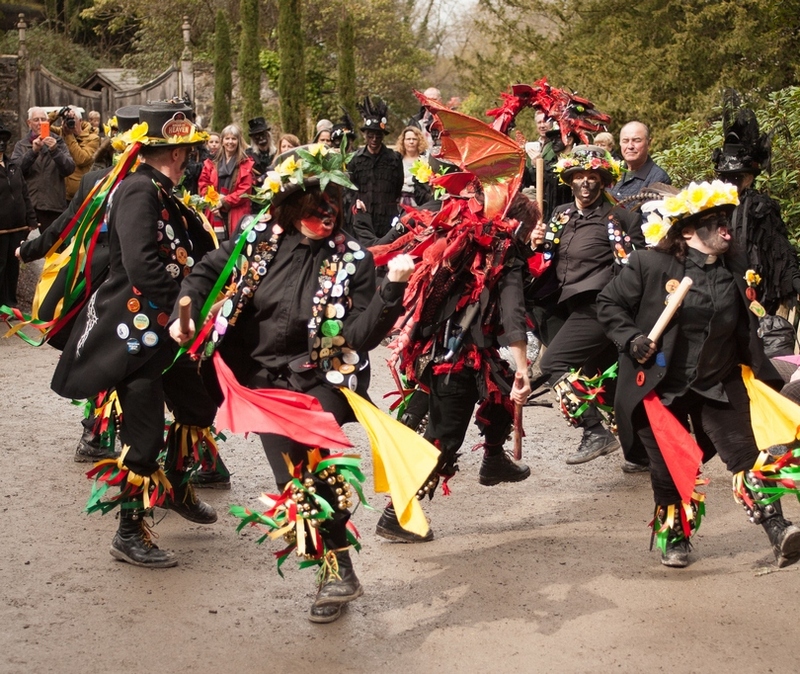 They had come from Ashton-under-Lyne for the opening and said they had been looking forward to it for months. 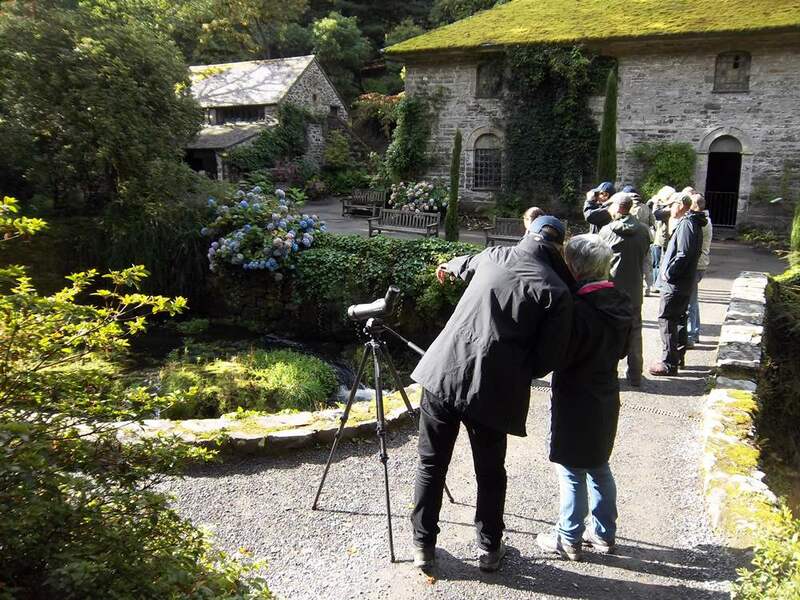 Behind them came a steady stream of visitors. 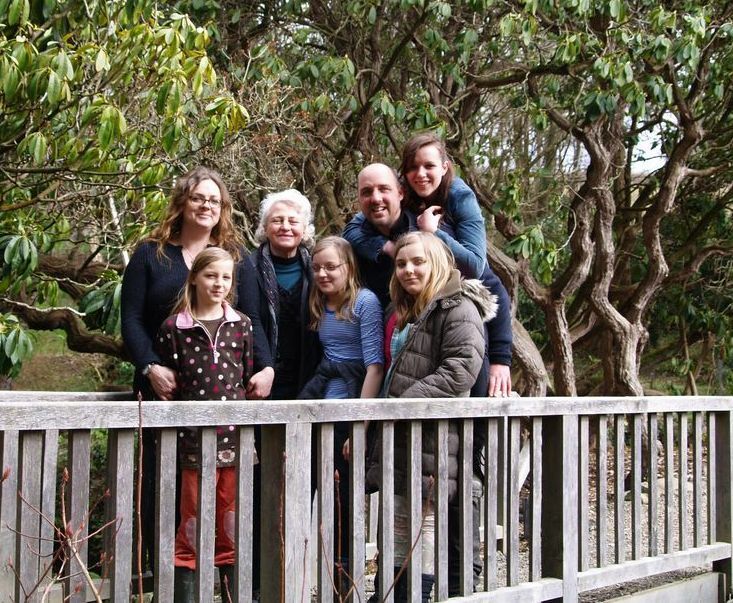 New head gardener John and his family enjoying the day. 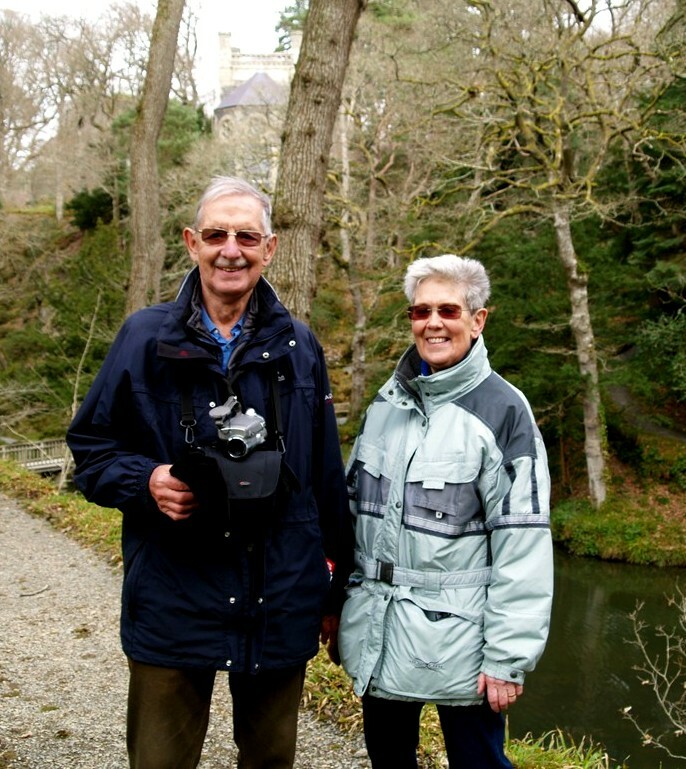 The last word goes to visitors Dorothy and Brian Thompson, from Rhos on Sea, regulars to Bodnant who said it was absolutely thrilling to be able to enjoy this magical new area of garden. 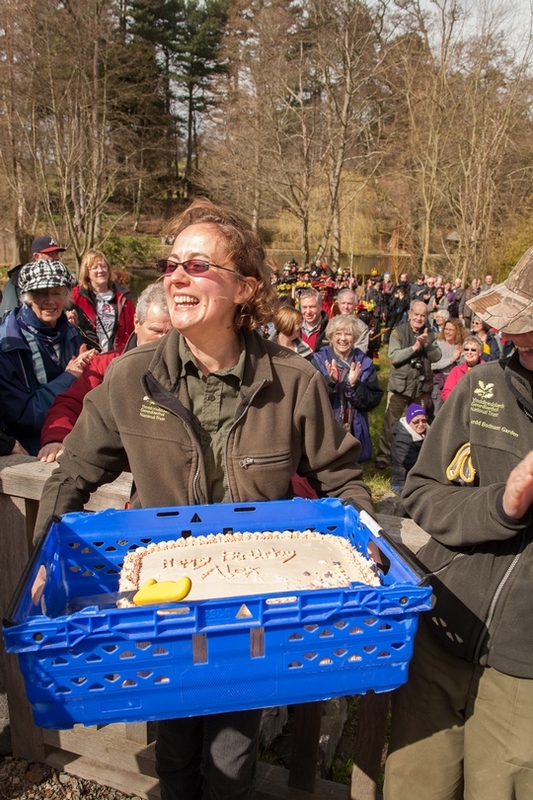 Thanks to them and everyone who came on Saturday – staff, volunteers, visitors, guests and performers – for making this historic day such an occasion.